When you write your reflections on the prompts provided and even plan your own funeral and write your obituary, this journal will become a treasure of memories and a true gift for your children and for the generations to come. Checkout Feathered Quill’s Review HERE ! What a fun book! 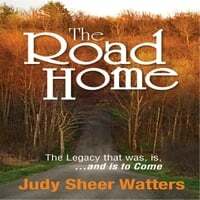 It’s an easy read, full of stories about the author’s mother and family that entertain you, yet leave you with plenty to think about. The quotes at the beginning of each chapter were so clever, and the journal space at the end lets you reflect on your life and how you’re personally “panning for gold.” Each chapter focuses on an aspect of life that changes as we get older, forcing us to rethink our perspective. You’ll read about hearing loss, losing your license to drive, leaving your family home, and even planning for your funeral. The book covers it all! As Judy’s mother points out, “We need to keep our minds open to the world around us and never ever think we know it all.” No matter how old we are, “getting older” will always be a new experience. This book helps you learn to navigate aging with humor and grace. I highly recommend it.